John Cook is a research assistant professor at the Center for Climate Change Communication at George Mason University, researching cognitive science. In 2007, he founded Skeptical Science, a website which won the 2011 Australian Museum Eureka Prize for the Advancement of Climate Change Knowledge and 2016 Friend of the Planet Award from the National Center for Science Education. John co-authored the college textbooks Climate Change: Examining the Facts with Weber State University professor Daniel Bedford. He was also a coauthor of the textbook Climate Change Science: A Modern Synthesis and the book Climate Change Denial: Heads in the Sand. In 2013, he published a paper analysing the scientific consensus on climate change that has been highlighted by President Obama and UK Prime Minister David Cameron. 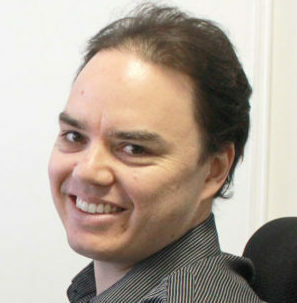 In 2015, he developed a Massive Open Online Course at the University of Queensland on climate science denial, that has received over 25,000 enrollments.